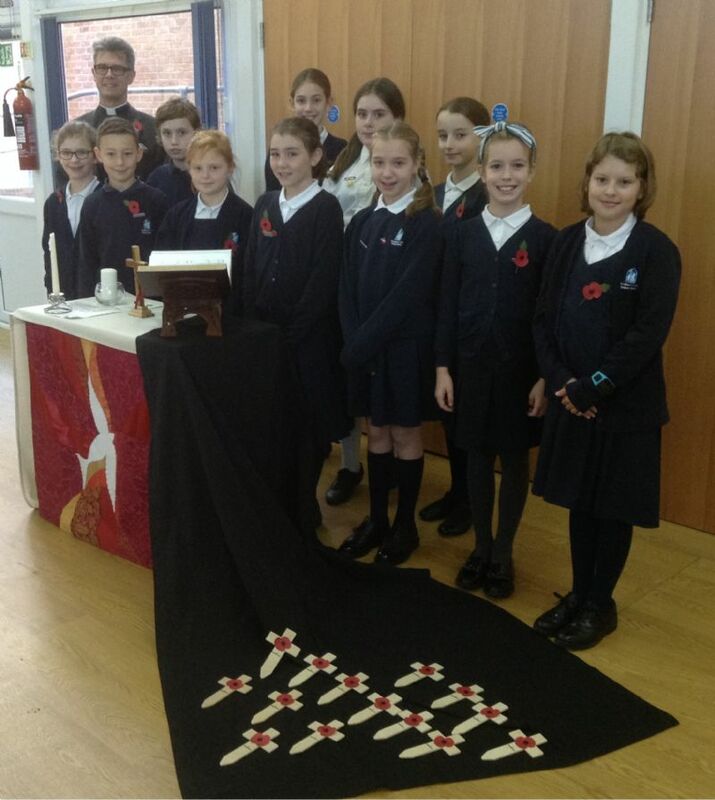 On Monday 13th November, Father Mark came in to school to lead a special Collective Worship to mark Remembrance Day so that we could remember the soldiers that have died in war. This year was especially important because it is 100 years since WW1 ended. One child from each class brought a remembrance cross up to the front of the hall and laid it on a black cloth. We had a moment of quiet reflection so that we could think about those who have died for their country. To finish our worship we sang the hymn, We Will Remember. On Monday Father Mark visited school to bless our palm crosses and to talk to the children in Foundation Stage and Key Stage 1 about Holy Week. Key Stage 2 pupils walked to All Saints' Church to attend a service led by Father Aran. Along with readings, prayers and reflections from the children, there was some beautiful singing. Father Aran spoke to us about the significance of the cross and what we can learn from how Jesus was treated when in Jerusalem during Holy Week. Some children also placed Easter egg decorations onto willow branches as a sign of new life at this time of year. Thank you to all the generous donations we have received to donate to the Stamford Food Bank. 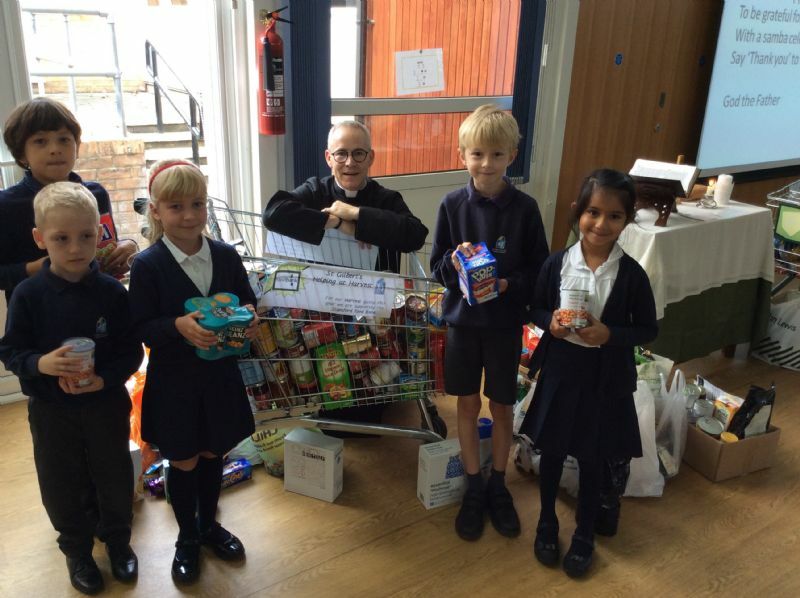 The children enjoyed filling not one, but two huge trollies which were then blessed by Father Aran. Happy Harvest Festival! Join All Saints' choir for a day (or two)! 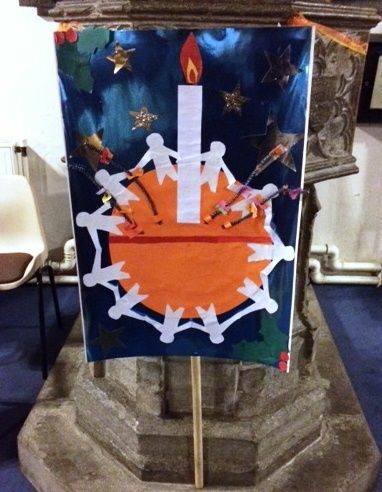 Take a look at the beautiful Christingle banner which was made by pupils attending the Picture Perfect group in Friday afternoon's Youth University sessions. It was presented at the Christingle Service in All Saints' Church. The school has formal links with All Saints' Church and Father Mark Warrick or Reverend Nikki Mann lead our Collective Worship regularly during the school year. The pupils attend a number of services during the year and parents are invited to join us. 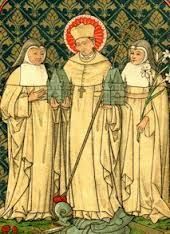 Our school is named after St Gilbert of Sempringham. Gilbert of Sempringham, born 1083, died 1189. His father was a Norman knight Jocelin and his mother was Anglo Saxon. He studied in France and became a cleric. Returning to Lincolnshire, he founded a school for boys and girls, unusual in those times. Later he became a priest and in 1131 he was settled at Sempringham where he founded an order for both monks and nuns with 13 monasteries; nine were "double" houses for monks and nuns and four for monks only. He supported Thomas a Becket and helped him to escape to the Continent, disguised as an ordinary lay brother. Gilbert lived to be nearly 106 and founded orphanages and hospitals for lepers.He was buried at Sempringham and declared a saint in 1202. His Order, the Gilbertines, flourished until the Reformation and the Dissolution of the Monasteries; it was the only order founded by an Englishman and his Feast Day is February 4th. This information comes from The Oxford Dictionary of Saints.